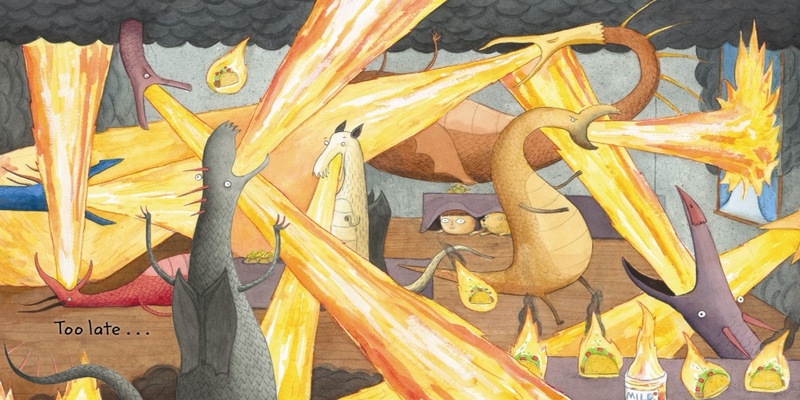 For those of you who were worried that all I’d ever blog about again is climate change, women’s rights and gun control, I give you a charming, very funny children’s book about dragons eating tacos. 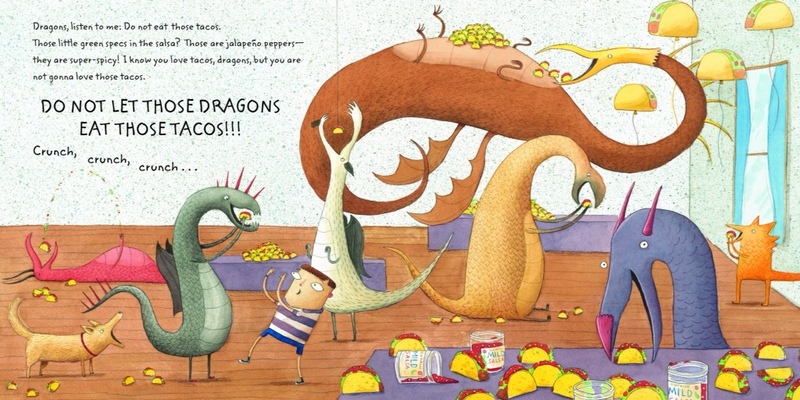 Actually, the title of the book says it all, because “Dragons Love Tacos” is about exactly that. 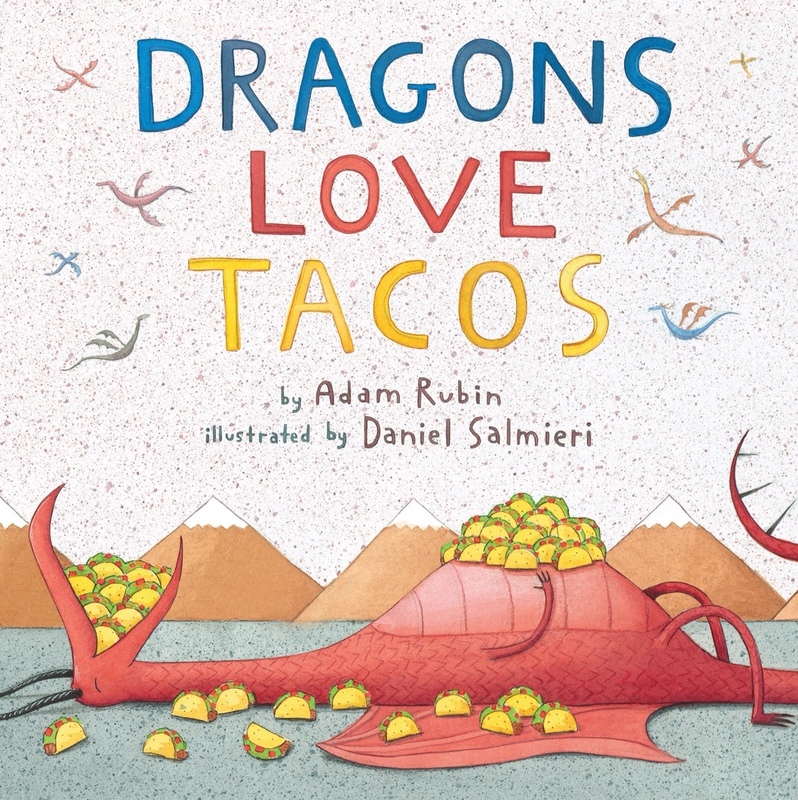 Written by the very witty Adam Rubin and beautifully illustrated by Daniel Salmieri, “Dragons Love Tacos” isn’t just fun to read, but it’s also highly re-readable (is that a word? If not, it should be!) and best off all, it’s short! Seriously, “Dragons” is the perfect bedtime length book for kids: meaty enough to feel substantial and yet not so long that you’ll need a bookmark. I know that sounds like a weird thing to be happy about, but, considering the fact that Greta usually crawls into bed with at least three books, I’ll take short, cool books over epic poems anytime! And books about crazy, Mexican food loving dragons? What’s not to love? Rubin and Salmieri had me at “tacos!” Best new kids book ever! We borrowed this book from the library a few weeks ago and my son loved it too! And it’s funny because when you read it out loud to him, it sort of makes you read it in this deadpan but comical way. I agree, Nina! Having read this one aloud more times than I can count, if gotta say, it’s still a joy to read!